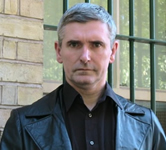 Mike Carey (aka M.R. 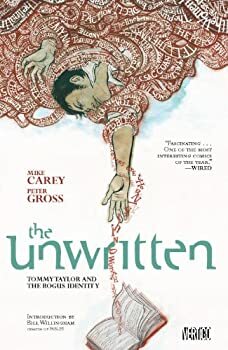 Carey) is best known for his comic book work including the Eisner-nominated horror/fantasy series Lucifer, Hellblazer and The Sandman Presents. 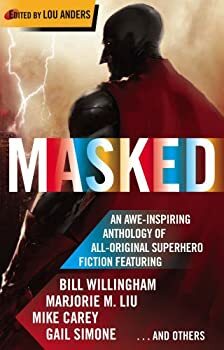 His other projects include Ultimate Fantastic Four, Crossing Midnight, X-Men: Legacy, Coalition Comix, The Unwritten, and Ender’s Shadow: Battle School. 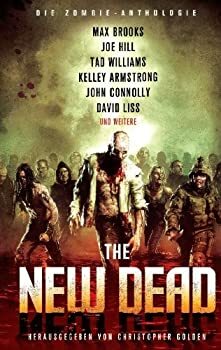 He’s also penned two screenplays for Hadaly Pictures in “Frost Flowers” and “Red King,” is working on The Stranded TV series for Virgin Comics/SyFy Channel, and has a short story collected in the Subterranean: Tales of Dark Fantasy anthology. Here’s Mike Carey’s website. CLICK HERE FOR MORE TITLES BY MIKE CAREY. 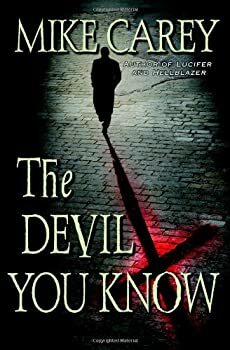 Out of all of the urban fantasy novels that I read in 2007, Mike Carey’s prose debut (The Devil You Know) was one of my favorites. 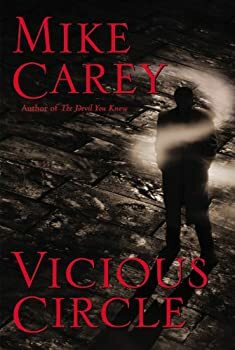 Basically, Mr Carey took everything that I love about the genre — including the supernatural tangoing with the ordinary, mixing humor with horror, and creating a protagonist that is impossible not to root for — and gave the formula a refreshing makeover. Even so, there was room for improvement and in Vicious Circle Mike Carey has delivered a sequel that is in every way bigger and better than its predecessor. 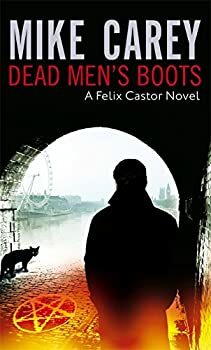 Dead Men’s Boots is the third Felix Castor novel after Vicious Circle and The Devil You Know. Like the previous volumes, the book finds Felix dealing with several different issues that may or may not be connected. 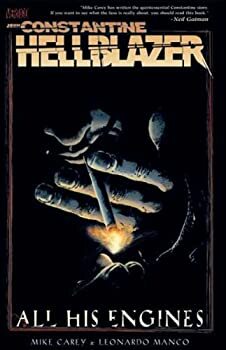 In this case, there’s the suicide of a fellow ghostbreaker (exorcist) who leaves a message for Felix; a wife who hires Felix to clear her husband’s name of murder; a Chicago mob femme fatale who seemingly continues to kill decades after her execution; and the legal fight for Rafi’s power of attorney. Aiding Felix in his latest escapades are Juliet, Nicky — one of my favorite characters — and the demon Moloch, who drops some tantalizing hints about ‘the great project’ and why the dead are rising with increasing volume. 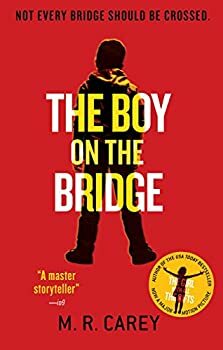 The fourth Felix Castor novel starts out with a bang: the liberation of Rafi from the Charles Stanger Care Facility under the nose of Jenna-Jane Mulbridge, told in a clever departure from Felix’s usual first-person narrative. 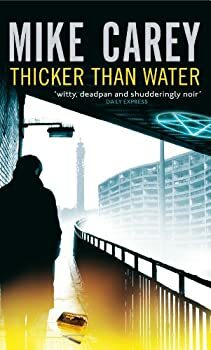 From there, Thicker Than Water follows the same formula as the other Castor novels — a tangled supernatural mystery comprised of seemingly unrelated parts — but with some significant differences. For one, the case is personal this time, revolving around an old childhood acquaintance who was brutally attacked with razors and Castor’s name written in blood. 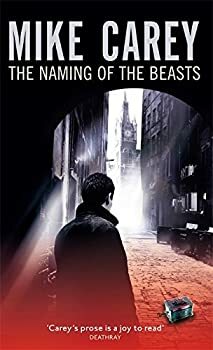 The fifth Felix Castor novel had the unfortunate task of following in the footsteps of what I strongly believe is the best volume in the series thus far (Thicker Than Water), but The Naming of the Beasts was up to the challenge, mainly because the book revolves around an escaped Rafi/Asmodeus and the carnage/horror trailing in the demon’s wake. Melanie is ten years old, with skin as white as snow, just like in the fairy tale. But she doesn’t live in a tower; she lives in a cell, and is taken from there through the corridor to the classroom, and the shower room, where she is fed grubs once a week before a chemical spray falls from the ceiling. She knows that the place she lives in is called the block, and that the block is on the base, which is called Hotel Echo. They’re close to London and part of Region 6, which is mostly clear because the burn patrols kill the hungries. Her favorite teacher is Miss Justineau, who makes school days interesting and full of fun.